This morning I added a ‘title filter’ component to SmarterPlaylists. This component lets you filter tracks based on regex string matching of the track title. 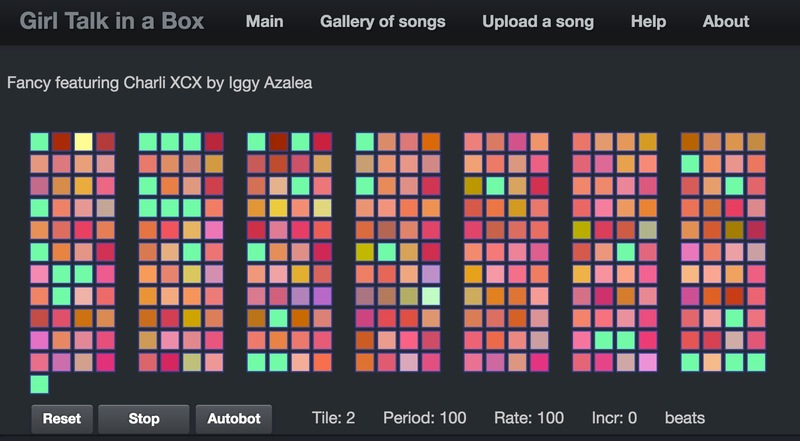 This is useful for filtering out certain types of track – such as remixes, radio edits or songs with 9 in the title. Using this filter we can take our favorite dubstep playlist and eliminate all the radio edits. To try this yourself, you can import the program. Thanks to Drew Davidson for the component suggestion. Today I added a new SmarterPlaylists component. It has the catchy name playlist (abs date). It works similarly to the standard playlist component that sources tracks from a Spotify playlist, but it lets you order and filter the tracks based upon when they were added to the playlist. With playlist (abs date) you can specify that you want the tracks returned in normal playlist order, or in the order in which tracks were added to the playlist. You can also filter the tracks so that only tracks that were added between a range of dates are returned. This doesn’t handle all date related use cases yet. For instance, it’d be great if we could extract out songs from a playlist based upon a relative time scale … such as all the tracks that were added in the last week. Support for relative dates will be coming soon. If you have more suggestions, let me know with a comment or tweet at me at @plamere.